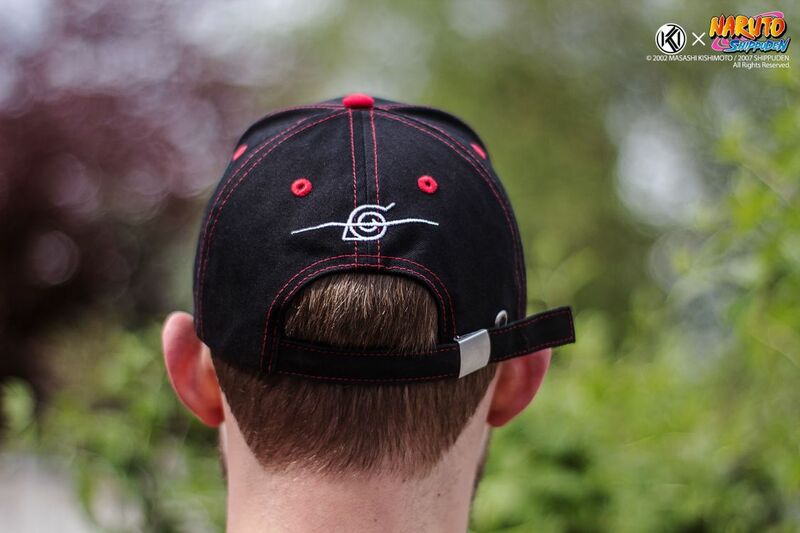 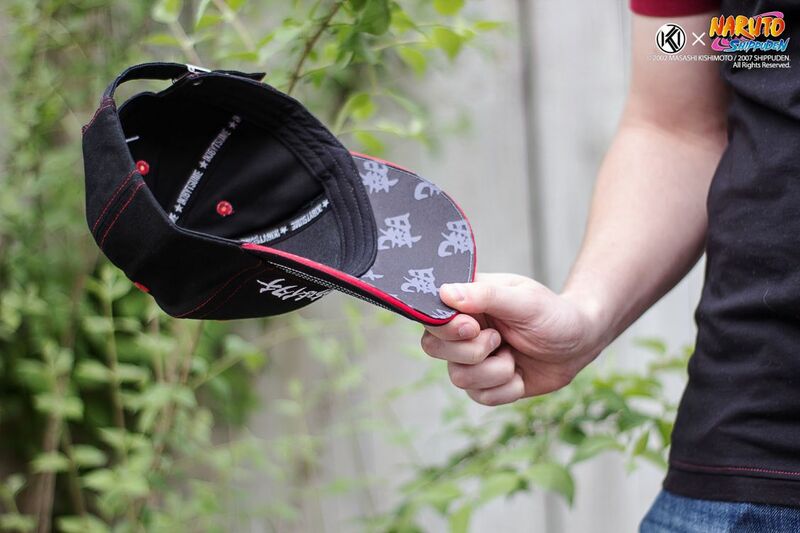 This cap hat is inspired by Naruto Shippuden and a tribute to Uchiha Itachi and the evil organization Akatsuki. 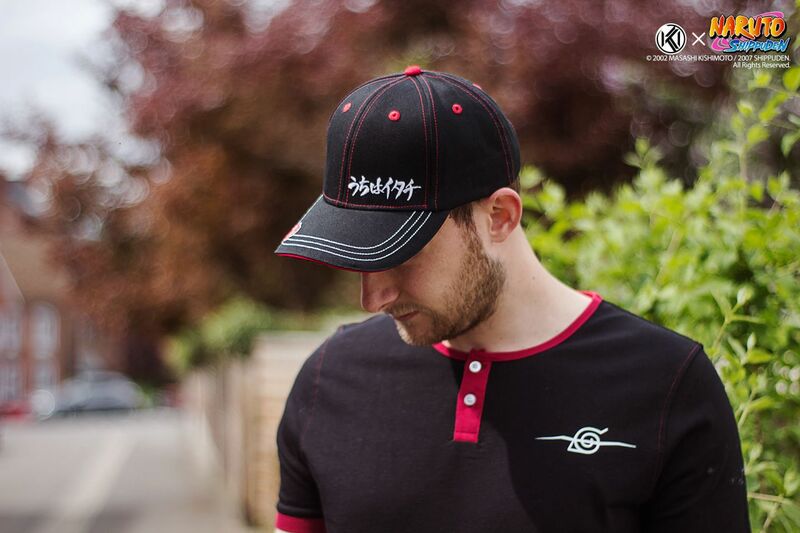 His name (うちはイタチ) is embroidered on the front while Akatsuki’s famous cloud pattern is on the bill. 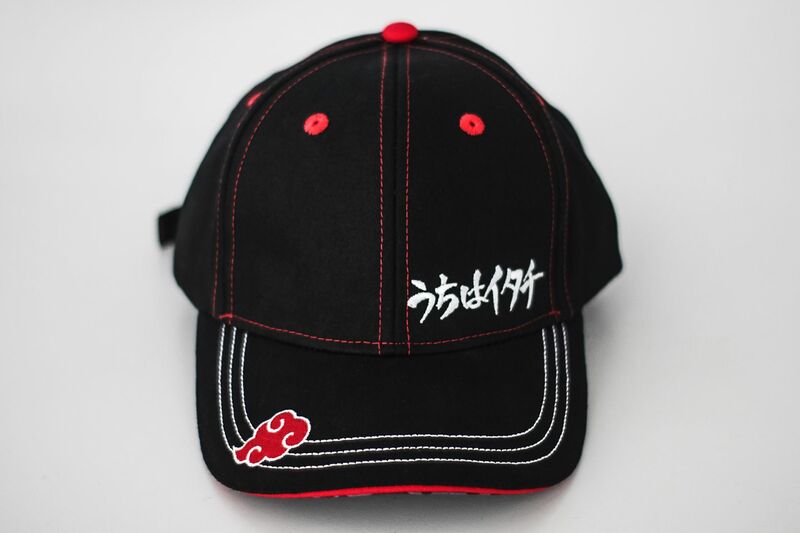 The last embroidery is a slashed Konoha’s symbol on the back of the hat, just as it is on Itachi’s forehead protector. 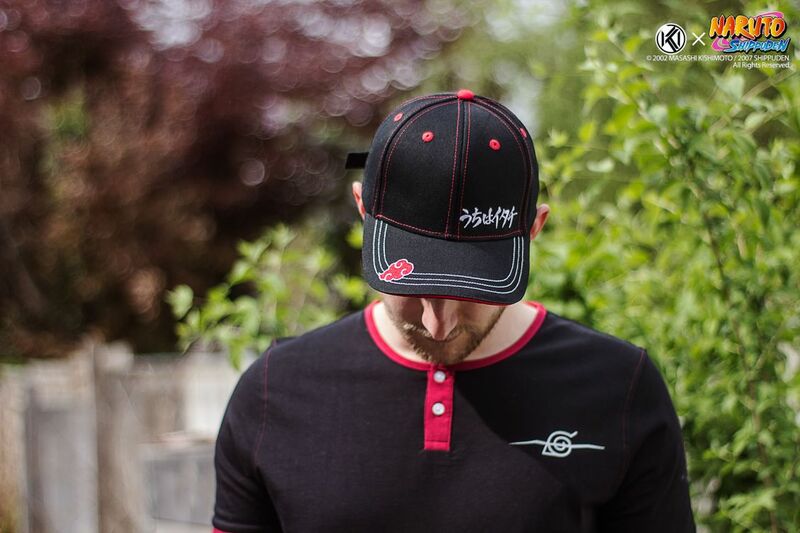 Under the bill of the hat, the Akatsuki’s kanji (暁) is printed.